Makut Simon, Gambia: Reports from Gambia say Economic Community of Waest African States (ECOWAS) coalition forces who have been on stand by in Senegal have moved into Gambia with a view to securing strategic positions. 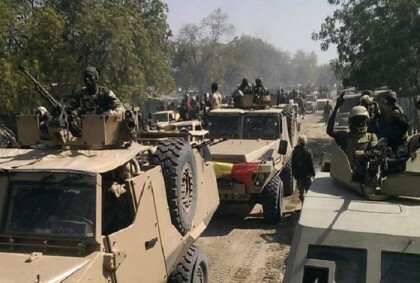 Ecomog Force commander commander Air Commodore Tajjudeen Yusuf confirmed that the troops met no resistance as they moved into the country. The Gambian security forces are said to have rather been friendly and welcoming. The Nigerian air-force also conducted armed Reece of the the country from the base in Dakar Senegal without any hindrance. Correspondent Macham reports that the troops are expected to prepare the grounds for the return of president ADAMA BARROW to the country. The Nigerian naval ship NNS unity has also berthed in Dakar port in Senegal also expected to participate in the Ecowas intervention in stabilizing Gambia.